Original evenings selected by France Tourisme ! 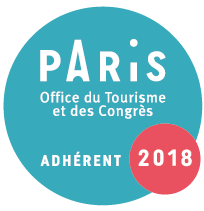 France Tourisme offers a unique parisian concept for original private tours in Paris! 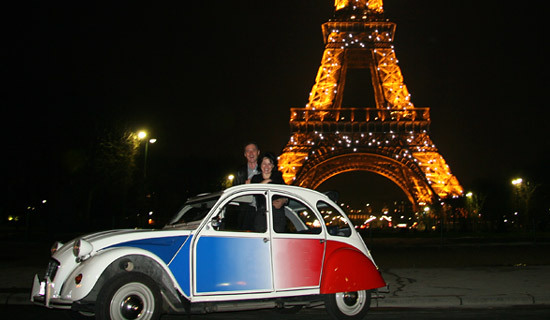 Choose one of our packages including a private tour of Paris by night inside a legendary french car : the 2CV ! 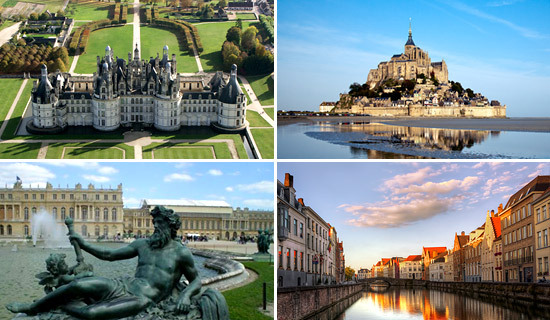 You will discover the suburbs and monuments of the capital which contribute to its international reputation. 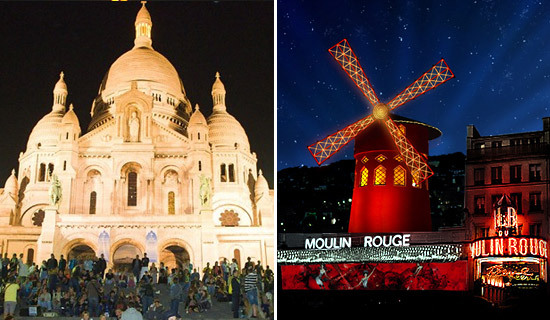 This Paris guided tour can be combined with the Lido de Paris show, or the Moulin Rouge revue, or with a romantic Seine dinner cruise, or a peaceful dinner in the heart of Monmartre ... Our offers always include pick up or drop off anywhere inside Paris. 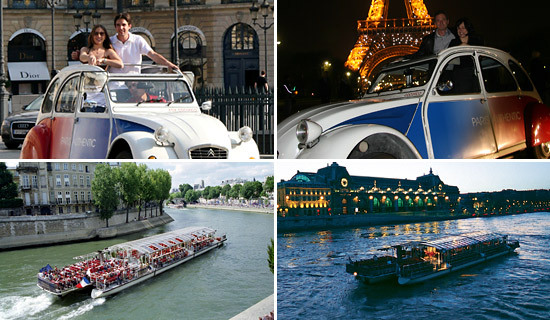 1H 2CV TOUR / 1H SEINE CRUISE. With your private driver, discover Paris with the eyes of a real parisian... then, prolong this sweet time by a cruise with boarding right at the foot of the Eiffel Tower. 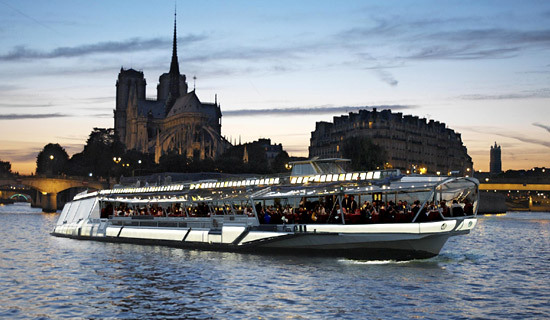 A packaged offer for 2 hours of an unforgettable discovery of Paris ! 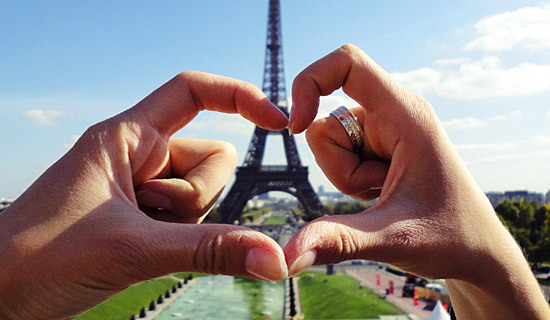 Enjoy a romantic trip to discover Paris, the city of lovers... 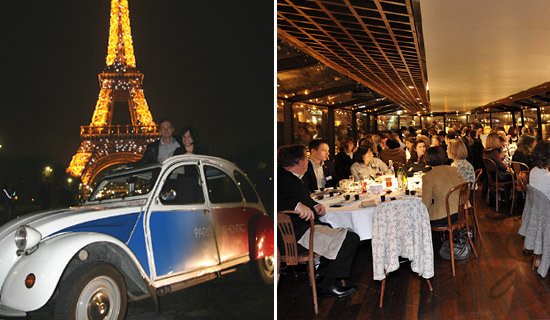 Enjoy an early dinner cruise on the seine river followed by a private Paris tour by night with the legendary car : the 2CV. 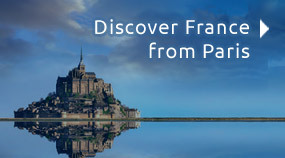 This guided tour includes pick up and drop off anywhere inside Paris. A surprising tour in Paris ! Pick up included - An exclusive and original evening ! Take time to live a wonderful night through a private Paris tour by 2CV combined with the new Show PARIS MERVEILLES of the famous cabaret, the Lido de Paris, with glass of Champagne included. Hotel Pick up by 2CV included. We own the night ! 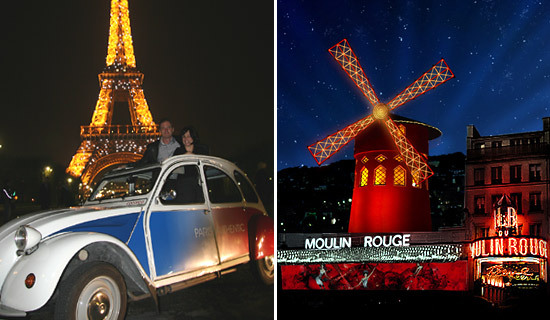 Enjoy an unbelievable night with a private Paris tour by 2CV combined with the revue "Féerie" of the legendary cabaret, the Moulin Rouge (glass of Champagne included). Our driver will pick you up anywhere in Paris. Spend a beautiful night in Montmartre village! 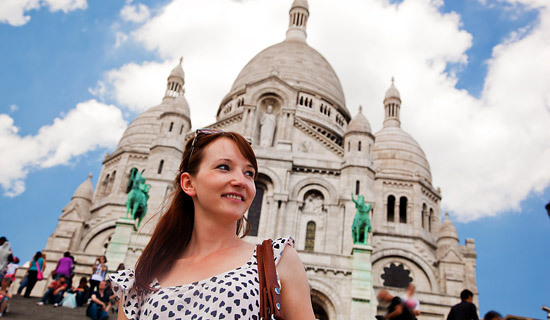 Enjoy a Montmartre tour by 2CV, followed by a tasteful dinner in a typical parisian restaurant. 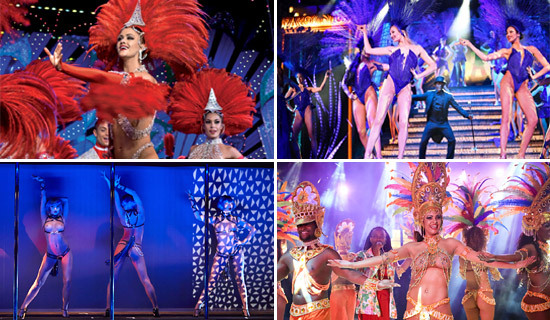 To end your night, you will attend the revue "Féerie" of Moulin Rouge, with a glass of Champagne included. Our driver will pick you up anywhere in Paris.